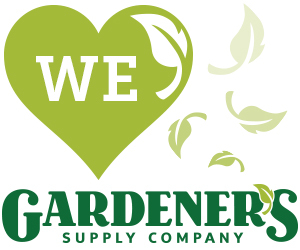 Want kids to develop a love of gardening? Get them growing early! 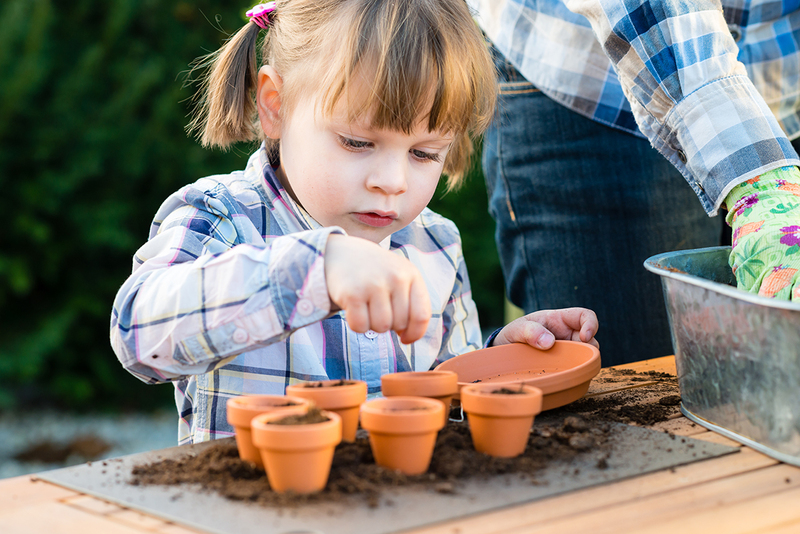 Kids as young as preschool age are thrilled to plant seeds and watch their baby plants sprout from the soil and turn into big plants. Even picky eaters are usually willing to try a vegetable they’ve grown and harvested themselves. And what child isn’t thrilled to pick a bouquet of homegrown posies? But small seeds like those of carrots and lettuce are challenging even for adults to handle. When young children are planting, keep things fun, not frustrating, by choosing seeds that are relatively large and easy to handle. Here are some suggestions for kid-friendly vegetable and flower seeds that are easy to sow and easy to grow. All of them are appropriate for sowing directly in the garden once weather conditions are suitable. Peas: Peas are easy seeds for kids to handle because they are, well, the size of a pea! They are one of the first crops that can be planted in the spring – as soon as the soil can be worked in the spring or 5-6 weeks before the last spring frost date in your area. Early planting gives cool weather-loving peas time to produce their pods before hot summer weather hits. Beans: These large seeds sprout quickly in warm soil, so wait until the weather is settled and all danger of frost is past, usually a week or two after the last frost date, before showing your kids how to tuck seeds into the soil. Bush beans grow quickly, need no support, and are ready for harvesting in just 7-8 weeks. Pole beans take a little longer to begin bearing and need some type of support, but produce a harvest over a longer period of time. All kids love having a special spot to play in and growing the fort themselves just adds to the fun. Growing a bean teepee is a great kids’ garden project. Erect a framework of 6-8 tall poles in a circle. Bind the poles together at the top; then plant 4-6 bean seeds at the base of each pole. Thin to the two strongest vines per pole. As the vines grow up the structure, they’ll create a shady spot inside where kids can hang out. Squash and pumpkin: Pumpkins are always a popular crop with kids. It’s exciting to watch the fruits develop and grow, getting bigger and bigger and changing color in time for Halloween decorating. Like beans, pumpkins and squash are warmth lovers, so wait until a week or two after your last frost date to sow seeds. Pumpkin vines are large, sprawling plants, so make sure you plant them where the vines will have plenty of room to roam. Sunflowers: These are one of the most satisfying plants for young gardeners to grow. The seeds are large and easy to handle; they germinate quickly in warm soil, and the reward is towering plants with enormous, colorful flowers that provide edible seeds for snacking. Sunflowers are also great for making bouquets, as they are long lasting cut flowers, and they even attract beneficial insects to the garden! If you’re going for record-breaking height, plant varieties like ‘Russian Giant’ or ‘Mammoth’ and give plants rich soil and lots of water and sun. Zinnias: Plant a rainbow! Most kids love bright colors, and zinnias come in just about every color except true blue. The seeds are easy to handle and direct-sow once the soil is warm and the danger of frost is past. Mildew can be a problem in humid climates, so look for mildew-resistant varieties such as the Zahara and Profusion series. Then keep an eye out for the beautiful butterflies these flowers will attract to the garden.